Performance based social media is the focus now. Using AI and data to help you monetize is our KPI. Contact us to help you grow your business. 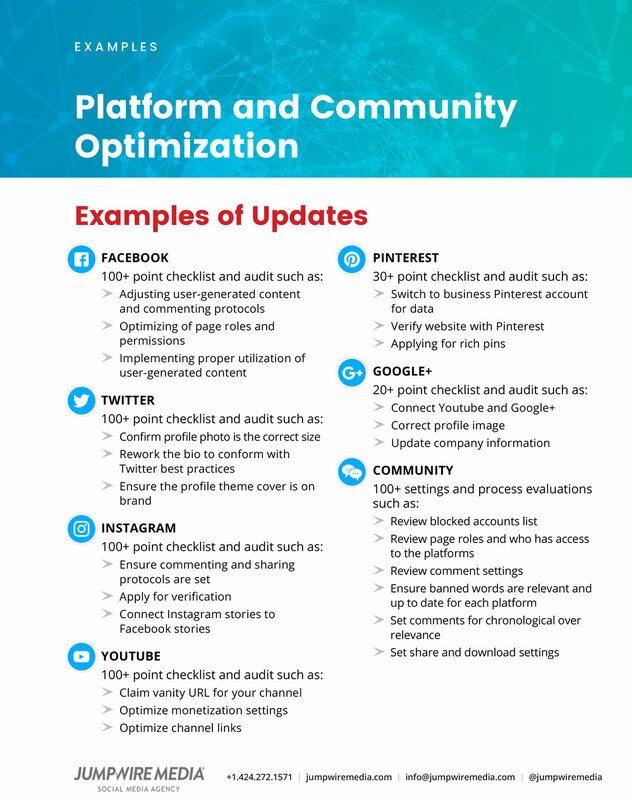 Avoid these mistakes and gain valuable insight for a more effective strategy, with our social media audit. Sign up with your email address to receive our weekly in-depth social media news and seminar updates. Welcome to Jumpwire Media. Someone from our team will reach out with some links and information. How do you know your social media is working?